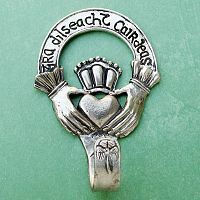 - The perfect symbol of a happy home. 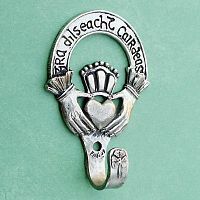 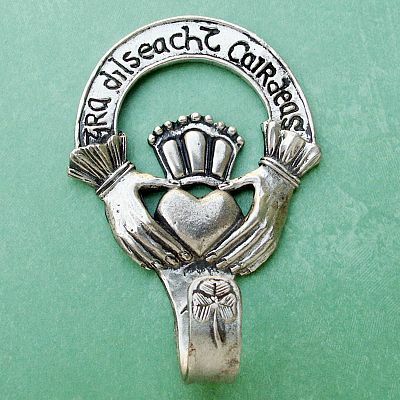 The hands, heart, and crown of the claddagh represent love, friendship, and fidelity, a sentiment echoed by the inscription "Gra Dilseacht Cairdeas" (Irish for "Love, Loyalty, Friendship"). 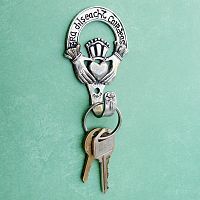 Made of lead-free pewter, this wall hook measures approximately 3" by 2". 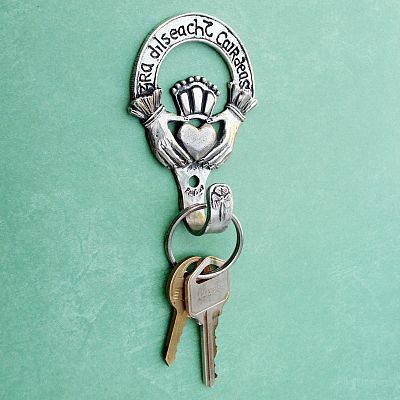 Do you have any other questions about our Claddagh Wall Hook?